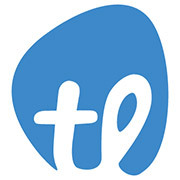 TakeLessons is a venture-backed services marketplace focused on aspirational learning. Instructors from over 400 learning categories use TakeLessons to market themselves, obtain new business, and help manage their scheduling and billing. Customers use TakeLessons to find, book, and register for in-person and online classes. TakeLessons is a past winner of the San Diego Venture Group Most Promising Company and is also a San Diego Top Company to Work For winner. The Company has 42 employees and located in the heart of downtown San Diego.